Plug into BigSky and instantly lift your sound into the stratosphere. The world below you fades into the distance, and you're elevated into a glow of lush, glorious, radiant reverbs. 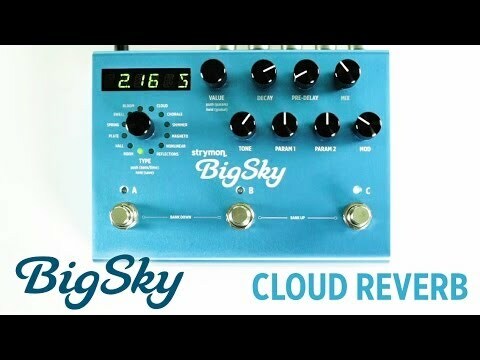 To create a reverb experience as natural, beautiful, and immersive as BigSky required tremendous feats of sound engineering and artistic imagination. Using the fundamentals of acoustical science as our beacon, we carefully studied and scientifically analyzed reverb technology from the past fifty years. We faithfully captured the essence of these classic sounds, and forged ahead to dream up our vision of reverbs from the future.